We are a company with sophisticated strategies and processes, providing the knowledge, quality, accountability and responsiveness of a professional staff that delivers results. 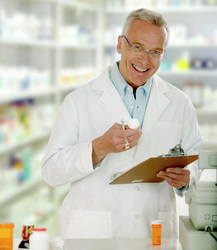 We understand the importance of medication management in senior living, hospice and other healthcare settings. Our professionals are committed to the highest quality care and value, all of which have earned us trust by the caregivers, residents and their families we serve.